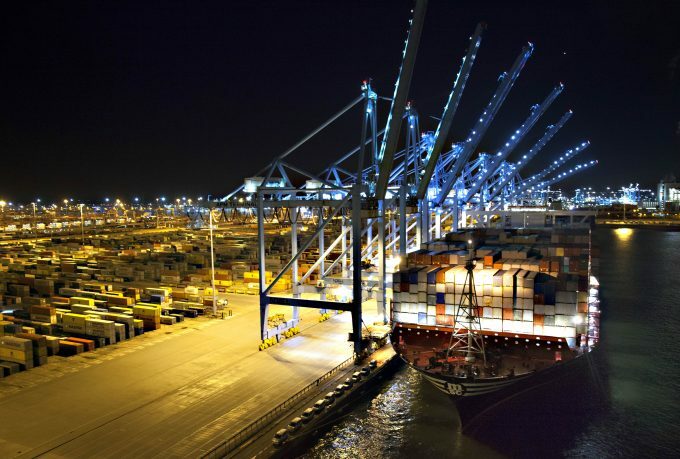 Despite the high load factors on containerships sailing from Asia to North Europe, spot rates on the trade are failing to gain traction and are losing some of the increases from earlier in the year. However, fears that rates could slide back to the record lows of March and April last year appear unfounded. According to London Gateway-based forwarder Westbound Shipping Services, a two-tier rate system is emerging: prices for containers that get shipped; and “those that are designed to fish for business” and get rolled over. In a customer advisory, Westbound said carriers had maintained February rates by extending their validity until 14 March, ahead of scheduled rate increases the following day. However, Westbound believes the mid-month rate increase will not be successful and rates will “simply remain the same (at true levels)”, with the suggestion of a “small reduction” towards the end of the month. Drewry agreed. It said rates from China to North Europe “continue to level off”, with average rates per 40ft showing at $1,643 yesterday on its World Container Index, compared with $1,756 the week before and $2,212 on 12 January. Meanwhile, rates from North Europe to Asia have rocketed in the past few weeks, due to capacity shortages caused by a large number of westbound sailings being cancelled during and after the Chinese new year. The situation has been compounded by the need to phase out ships from their current schedules in readiness for the launch of the new alliances next month. And according to one source, the imbalance and vessel disruptions have also caused shortages of some equipment, adding to eastbound shippers’ woes. Indeed, shippers told The Loadstar recently they have been increasingly critical of carriers over what they perceive as a “lack of customer focus and care”. Carriers are not officially admitting to an export ‘booking stop’, but one Felixstowe-based carrier source told The Loadstar this week it had instructions to put export booking requests on a “wait list” until further notice. At the same time, freight rates have soared on the backhaul leg, and increases for April are being touted at “crazily high” levels, according to one major UK shipper. For example, in just over a week Maersk Line’s FAK (freight all kinds) rates, excluding scrap, from Rotterdam to Chinese main ports, effective 15 March, have been hiked to $1,840 per 20ft and $2,300 per 40ft, from $1,280 and $1,600 respectively.